Pastor Jeff, I have a question for you. When was the change in you to believe in the victims and their stories and what they were sharing was the truth, regardless if there was ” no proof in their stories”? What made you come to the conclusion that they needed your help? Stephanie – The change in me came as a result of 25 years of being abused as a pastor by people in the churches that I served in. These people lusted for power and control and shared almost all the same characteristics as domestic abusers have. They weren’t just “christians with difficult personalities,” but were in fact wicked, unsaved, narcissists who chose local churches as their venue of operation. They targeted me as the pastor because they knew if they controlled me, they could control the church. I had no training or understanding of what they really were or how they operated and it caused me all kinds of misery and discouragement. Not a day went by in those years when I didn’t want to be totally done with church and pastoring, and the whole business. But the Lord sustained me and kept me there. About ten years ago, after a 15 year old in our church (son of key people who were our friends, we thought) molested a 5 year old girl from another family in our church, things came to a head. I reported the perpetrator to the police and over time our “friends” rejected us and left. Of course numbers of other people left as always happens. 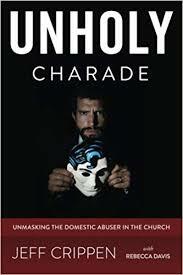 I began to read up on this whole business of sexual predators and abusers who hide in churches behind a “Christian” facade and in the first book I read I discovered that sexual abusers and domestic abusers share many of the same traits and mindset. As I read about them, the lights came on. I realized that all these abusers over the years who had targeted me were the very same kind as the author was talking about (this was a secular book by the way). And we still had a couple of people in our church at that time who were these very kind of abusers and who had targeted me for years and years. I saw them for what they were – unsaved wicked people craving power and control with no conscience – and I told our elders that I needed to preach a sermon series on this enemy tactic of planting abusers in the church. All approved whole-heartedly except one – the one who had been targeting me all those years. He threw an angry fit and ultimately he was put out of our church. That’s the long answer. The short one is – I was a target of abusers myself and ultimately was enabled to understand what was going on. And by that time I WANTED to understand it and put an end to it by exposing the evil for what it was. When the dust cleared, we had about 30 people left in the church, and that is our size even today. There is peace and unity and the Lord is blessing our ministry. As a survivor of clergy sexual abuse, as well as a survivor of domestic abuse in my childhood home, I have noticed the same thing — that both types of abusers share many similar traits. That is why following blogs, like yours, which speak out on domestic abuse has been healing for me both from that aspect of my childhood as well as seeing parallels to the sexual abuses. I’m assuming your position required you to report the 15 year old, but if it was freely done by you, thank goodness. Usually it’s ‘oh, our poor, poor son’ as though males’ lives are only of value and whatever boys do is simply to be expected or otherwise pitied and excused. And that 5 year old girl, as well as her family, needed someone on their side. Even at 5 years of age, girls will be blamed, as though they brought it on themselves, they seduced the boy, or whatever other common lies I’m forgetting. I’ve read about a few 40 year old (or older) men argue as to the supposed seduction powers that were wielded over them by a 5 year old little girl (or thereabouts in age). I really do believe that a person has to be victimized themselves in order for them to get it. And even firsthand victimization doesn’t always lead to the victim understanding (‘getting it’) because of all the incessant victim-blaming, victim-shaming, abuser apologists, and misinformation (and disinformation). But for those who are taken to the brink, and end up researching this stuff because their life has been shattered, eventually, it seems, a person starts to get it. Kind of like predators and con artists say that “it takes one to know one” I think you have to be a fellow victim to really understand what another victim is going through and facing along the way. There are secular sources that taught me so much — eye-opening stuff. Many Christians are warned not to delve into secular materials but I found such to be enlightening. Thankfully now there are things from Pastor Crippen and other Christians who do get it.